When your brake lights don't work, it is usually because of a blown fuse, a worn-out or broken brake light switch, or a burned-out light bulb. And on most vehicles, the brake light system is usually a simple circuit that includes a brake light switch, the light bulbs or lamps, a fuse, and the wiring that connects these devices. 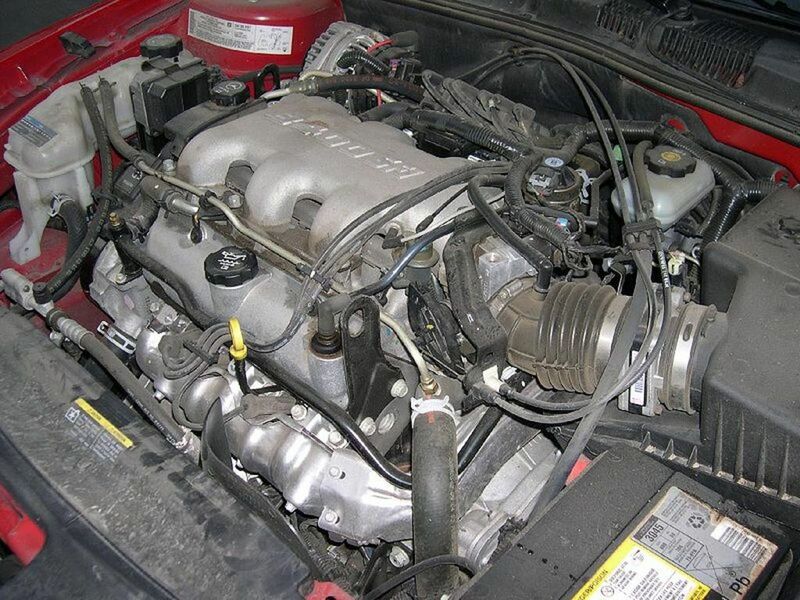 So troubleshooting the system is usually relatively simple and something that average car owners can do themselves. One or more lights don't work (though at least one light works). None of the brake lights work. The brake lights stay on and refuse to go off. NOTE: This guide focuses on analog (mechanical-type) brake light switches, not the digital sensors included in some modern vehicles. If at least one brake light works, but one or two others don't, troubleshooting is relatively easier than dealing with a circuit where none of the lights work. 1. If only the third brake light or the lower two lights work, start by checking the circuit fuses first. 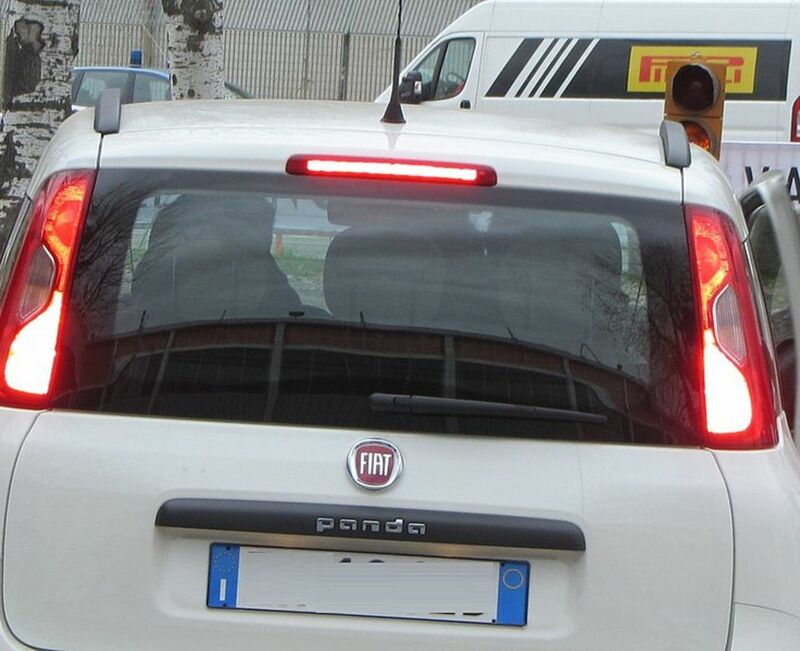 On some vehicle models, a fuse is provided for the two lower brake lights and another one for the third light. Then continue with the next steps. 2. Check the condition of the light bulbs. 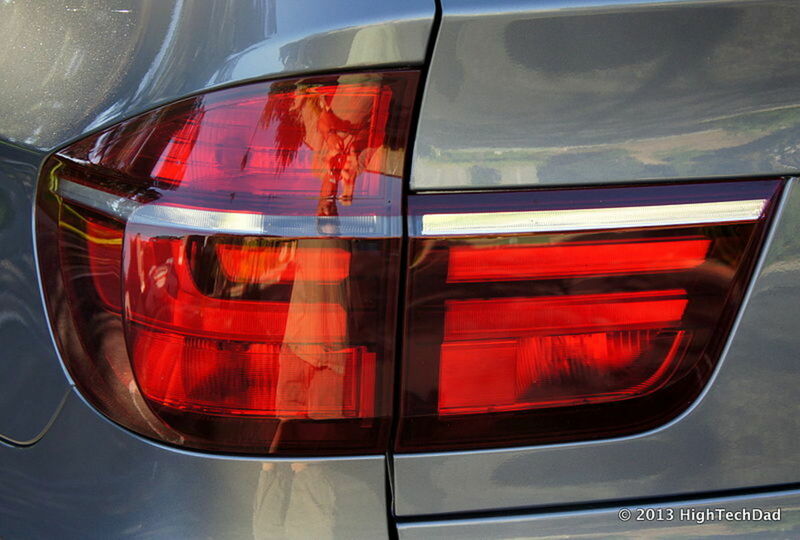 On some vehicles you can access the bulbs through the trunk or by removing the screws around the lens. If necessary, consult your vehicle repair manual (Haynes is a good aftermarket manual; get the one for your exact model). 3. Remove the light bulb but pushing it down and turning it counterclockwise, about 1/4 of a turn, and pulling the bulb free. 4. Examine each bulb. If a bulb has darkened, most likely the bulb itself has failed and just needs to be replaced. Also, check that the filaments are in good condition (not broken or burned). Otherwise, replace the bulb(s). If you need to replace the bulb, install one of the same type and wattage. 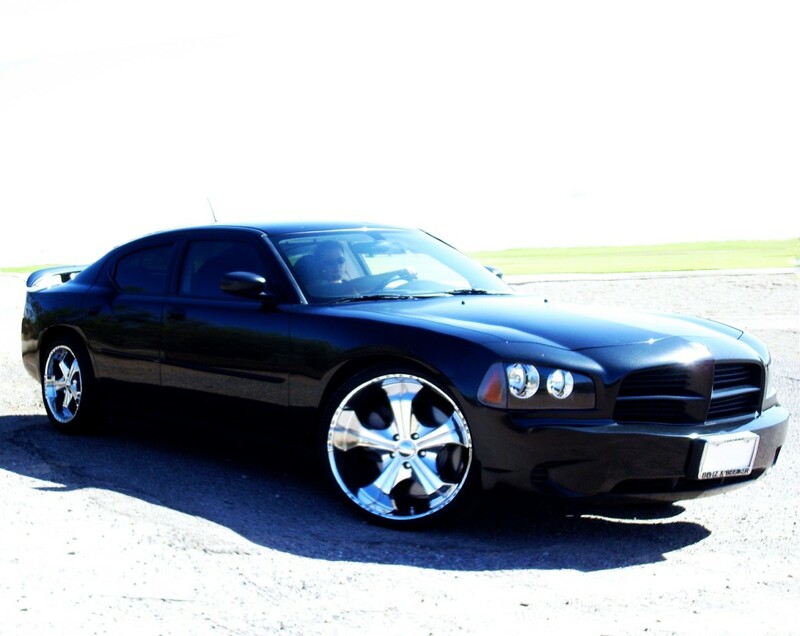 Consult your car owner's manual or vehicle repair manual. You can also take the failed bulb with you to the auto parts store to match it with the new one. Set your multimeter to DC voltage and press the tip of the red lead to one of the contacts in the socket, and the black lead to the socket wall. Ask an assistant to depress the brake pedal. If there's voltage, most likely you have a bad light bulb. If there's no voltage, repeat the test but this time connect the black test lead to chassis ground (look for an unpainted metal surface, bolt or bracket). If there's voltage now, check for a bad ground connection on the socket (go to the next step). If still there's no voltage, though, check the bulb socket for corrosion, loose wires, and condition. Also, check for a damaged or loose power feed wire between the socket and the brake light switch. If necessary, remove corrosion using a wire brush. Connect a jumper wire between the ground side of the socket and good chassis ground. With the light bulb in place, depress the brake pedal (or use a jumper wire at the brake light switch electrical connector). If the light bulb illuminates, repair the socket ground connection. If the light still doesn't work, look for an open between the wire the carries current from the brake light to the brake light switch. For an example of how a bad wire can cause one or more brake lights to fail, watch the next video. When none of the brake lights work, you need to concentrate on those components or devices that may affect the whole circuit: This includes the fuse, brake light switch, turn light switch (on some vehicle models), and the part of the circuit feeding current to the brake light circuit. If this is your problem, start your diagnostic with the fuse and the following sections below. When none of the brake lights work, the first thing to check is the fuse. 1. Find the location for the fuse. If you know where the fuse panel or power distribution center is located in your vehicle, look for the stop lamps fuse. If you don't know where the fuses are, consult your car owner's manual. The most common locations for the fuse panel is under the dashboard, on the driver or passenger side, or both, or under the hood (power distribution center). Remove the fuse panel lid and look under the lid for the descriptions of each fuse to find the one you're looking for. 2. Once you find the fuse, pull it out. In some vehicle models, you may find a fuse puller right in the box panel. Or use a pair of needle nose pliers to carefully pull the fuse. The most common fuse type in use now comes in a small, clear plastic box. 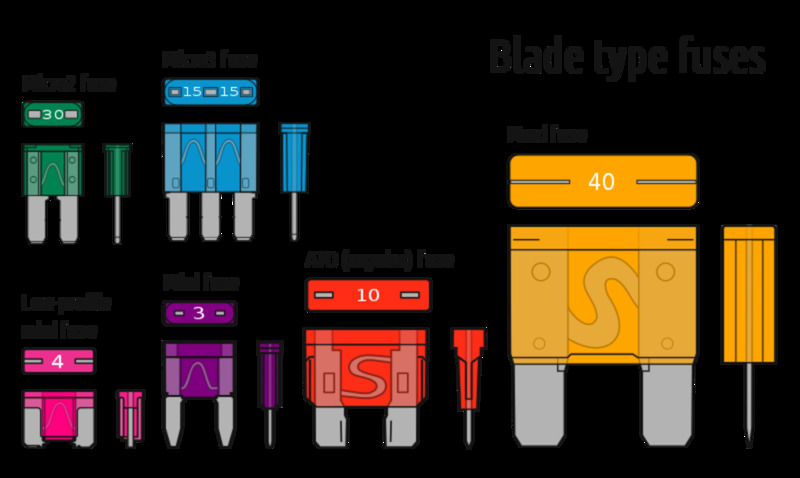 The fuse has spade connectors at each end, and the fuse element is a narrow metal strip that links both connectors. 3. Usually, you can tell if the fuse is blown by looking at the fuse element through the clear plastic box. However, if you need to confirm that the fuse is still good, you can check it using a digital multimeter. Set your multimeter to Continuity, or to a low setting in the Ohms scale. Touch each fuse connector with a multimeter lead. You should hear a beep sound if the fuse is in good condition (if you are using the Continuity setting), or close to zero Ohms (no resistance), if you are using the Ohms scale. This means your fuse is good. If you hear no beep or your meter reads infinity resistance, the fuse is no good. 4. If you need to replace the fuse, replace it with another one of the same amperage. The amperage is marked on the fuse case. Also, if the fuse is blown, you need to find out what caused the fuse to blow. You may be dealing with a short circuit. If the fuse checked out okay, the next thing to check is the brake light switch. When checking the brake light switch (or any type of car electrical circuit for that matter), it's a good idea to have on hand the repair manual for the particular vehicle model. The manual comes with the location of the brake switch, the brake light circuit diagram, and lets you identify wires and connections. This is specially important if your switch communicates with other devices like the cruise control, traction control, body control module (BCM), or transmission. 1. First, locate the switch in your car. 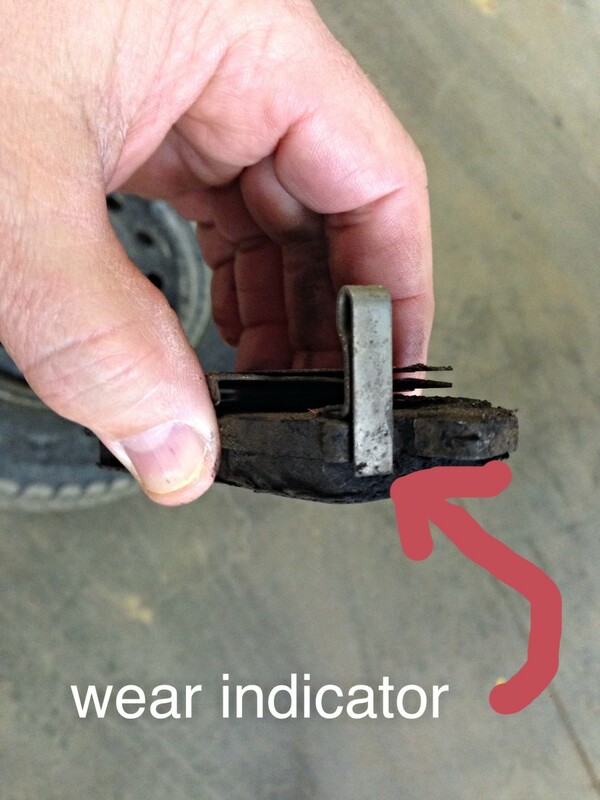 The most common location is towards the top of the brake pedal arm. 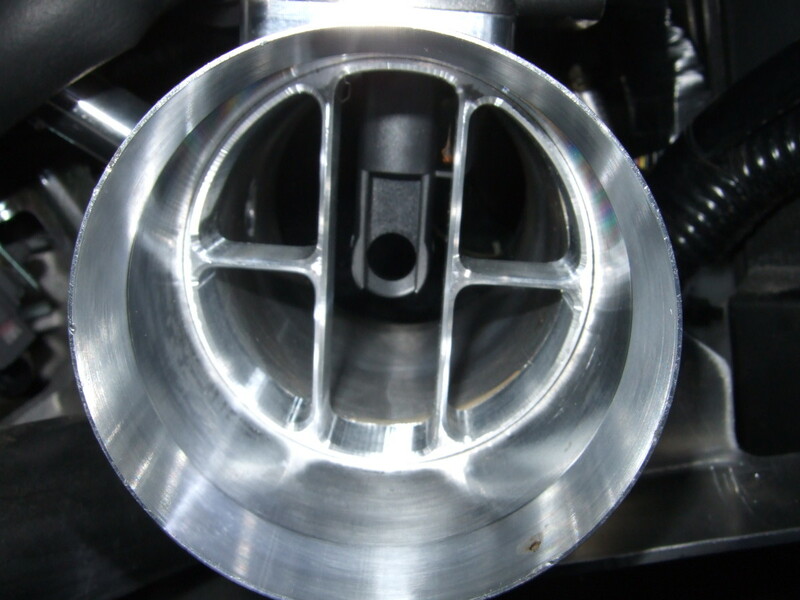 Another common location is around the brake master cylinder, on the firewall inside the engine compartment, on the driver's side. If your vehicle has cruise control, there may be two brake light switches. If necessary, consult your vehicle repair manual. 2. Once you locate the switch, locate the electrical connector for the switch. From here, you have two ways to check the switch using a test light (this one works). Both procedures are described in the next steps. 3. Connect the test light to a good ground under the dashboard (if the switch connects to a module such as the BCM, the switch actually provides the ground connection to the module. So connect your test light to a power source, such as the battery. Consult your vehicle repair manual, if necessary). 4. Then, if you have good access to the switch connector, back probe the two terminals at the connector without unplugging the connector. Otherwise, unplug the connector and probe each terminal. The test light should come on while probing one of the terminals but not the other one. 5. If the test light doesn't come on, the power side of the circuit (or ground, depending on your configuration) has an open or a short circuit. Use your repair manual to trace that side of the circuit and locate the fault. If the test light comes on, continue with the next steps. 6. Firmly press the brake pedal with your hand while back probing the switch connector. The test light should come on while probing both switch terminals. If the test light still comes on while probing just one of the terminals, either you need to adjust the brake light switch (if adjustable) or you need to replace it. 7. If you unplugged the switch electrical connector for this test, use a small jumper wire to connect both terminals together. This should cause the brake lights to come on. This means you should adjust the brake light switch (if adjustable) or replace it. On models where the switch provides ground, if the brake light switch seems fine but the brake lights still don't work, check for a bad ground. Use a jumper wire to connect the switch to a good ground and operate the brake pedal. If the brake light comes on, fix the ground connection at the switch. Inspect the wire at both ends for corrosion, damage or a loose connection. If possible, check for continuity between each end of the ground wire that connects to the switch. On some vehicle models, the brake light circuit is also part of the rear section of the turn signal circuit (multifunction switch - check your vehicle repair manual, if necessary). If you haven't found the fault yet, check the turn signal switch in these models. 1. Find the wiring diagram for your turn signal switch on your vehicle repair manual. 2. Locate the wire that goes from the brake light switch to the turn signal switch. 3. 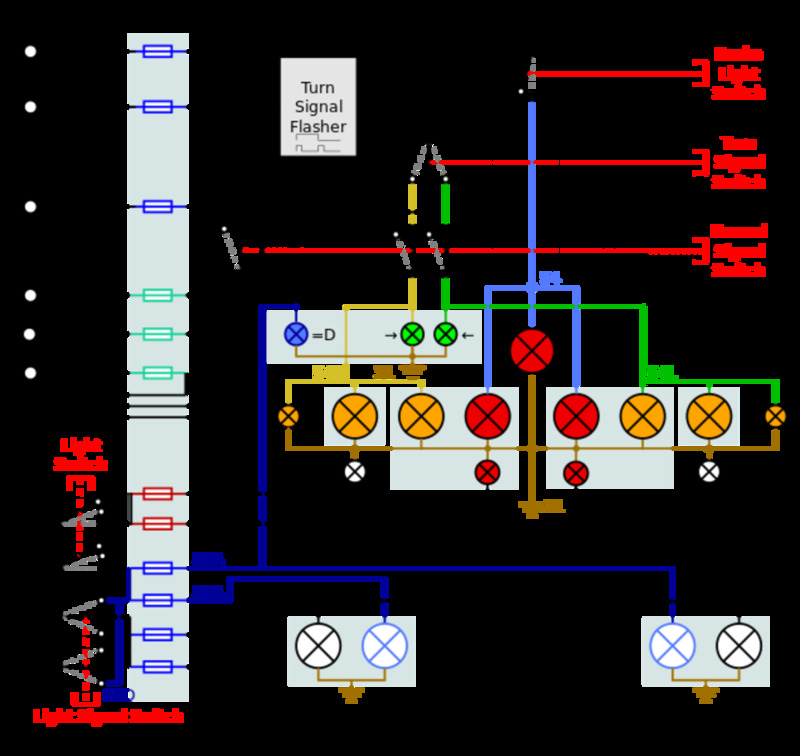 Get access to the turn signal switch electrical connector. Usually, you need to remove a cover off the steering column. Consult your vehicle repair manual, if necessary. 4. Find the wire you identified in step 2 (the wire going from the brake light switch to the turn signal switch). 5. Depress the brake pedal to activate the brake light switch, or unplug the switch electrical connector and use a small jumper wire to connect both terminals. 6. Using the test light, back probe the brake switch wire at the signal switch connector. 7. The test light should glow. If it doesn't, there's an open in the wire between the signal switch and the brake light switch. 8. 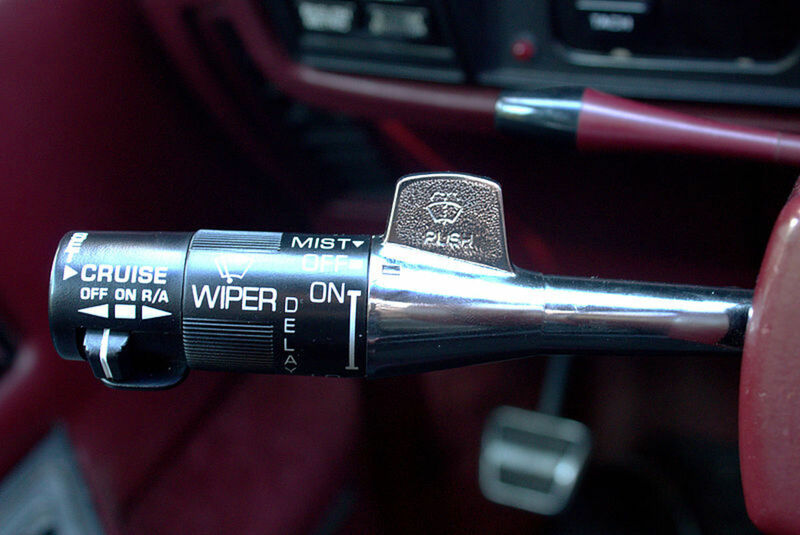 Depress the brake pedal (unplug the switch electrical connector and use a small jumper wire to connect both terminals), and back probe the terminal(s) that carry current from the signal switch to the left and right turn signal lights. The test light should glow; otherwise, the signal switch isn't working. 9. If the test light glows in the previous step, check the wire that and connector(s) that go from the signal switch to the brake lights. III. What if My Brake Lights Never Go Off? Another common problem is that the lights refuse to turn off. Some vehicle models use a brake light switch configuration that allows the switch to move to its normal position when the brake pedal is pressed. Stepping on the brake pedal releases the switch to allow the brake lights to turn on. When the switch wears out or moves out of position, it may cause the lights to stay on. Operate the brake pedal with your hand and see how pedal movement relates to brake light switch operation. You may only need to readjust the switch to solve the problem. For adjustment, unplug the connector and rotate the switch to move the sensor-contact (plunger) towards or away from the pedal, depending on your particular situation. Place the contact so that you don't need to depress the pedal too much before the brake lights come on. You want the lights to come on with slight pedal movement. Also, see if the switch position can be adjusted, You may only need to shift the switch back to its correct position in relation to the pedal. Another possibility is the internal switch mechanism has worn out and the switch needs a replacement. Consult your vehicle repair manual if necessary. If you notice that your brake lights don't work, start your diagnostic with the most common faults. 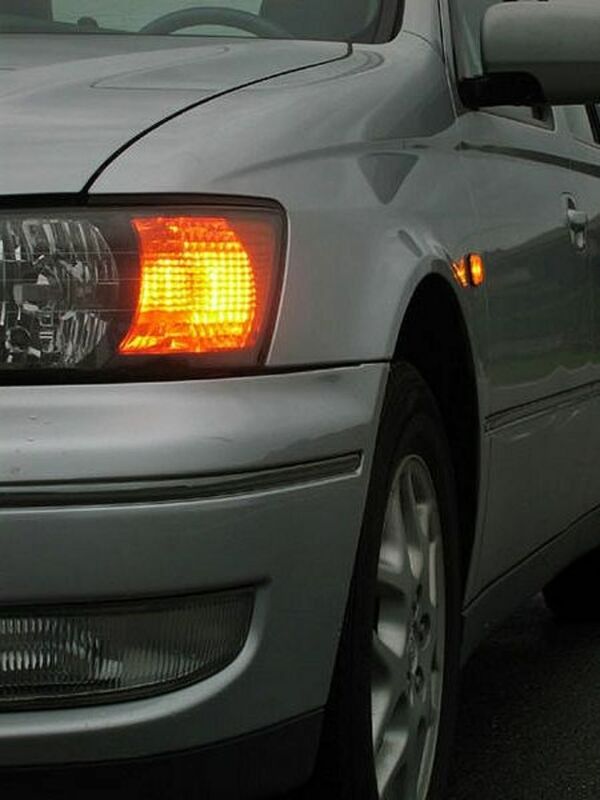 Troubleshoot for blown fuses, worn out brake light switches and burn out light bulbs. Electrical shortcuts, bad connections, and damage to circuit wires can happen. This guide helps you to locate the fault faster, so that you can take your car back on the road safely. My brake lights on my Range Rover Evoque work fine when I have the ignition on, but the rear side fails to work when I start the engine. Any thoughts? You need to check the circuit for voltage. Start at the brake switch. Check for incoming and outgoing voltage to the lights. Look for loose wire and bad grounds. My brake lights both work with the ignition off. As soon as I start the car, the passenger side brake light stops working. Do you have any ideas? If that’s the only light giving you trouble, start the engine and chock the wheels. Gain access to the light socket and connector, if necessary, for that light. Then check the ground and power wire at the socket and/or connector. You’ll need a test light for this. Keep an eye for corrosion or lose wires as well. All 3 brake lights of my vehicle are not working after I changed the brake switch. I also checked all fuses, and my brake lights still wont come on. What could be the issue? If all the brake lights were working before, there's a wire that is not making contact. Check the grounds and power starting at the switch that you were working on. Both of my brake lights went out, and now my shifter is locked in park. Why is this? Check the brake light switch, or the fuse for the switch and the shift lock. Why does my shifter lock in Park after my brake lights went out? The brake circuit needs to be working in order for you to move the shifter out of Park. Why doesn't my truck horn work? Check the wire(s) connecting to the horn. Then, check for a good ground. You may also connect the horn directly using jumper wires and verify that the horn is still good. My brake lights are not working. We have changed the globes, but the brake lights are still not working, and now my electric windows are not working. We have changed all of the relevant fuses, and it's still not working. Do you have any advice? Check the brake light switch and harness connection. The 3rd brake light and passenger brake light work fine. 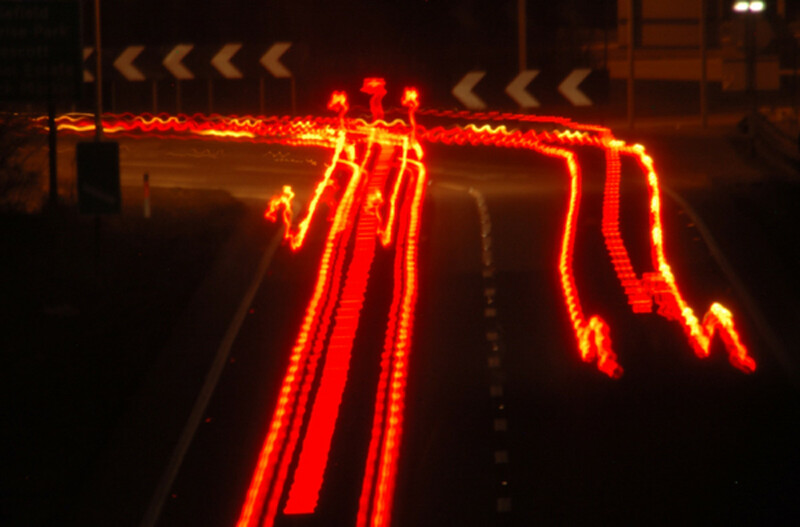 The driver’s side brake light does not work, but all parking lights and hazard lights work. 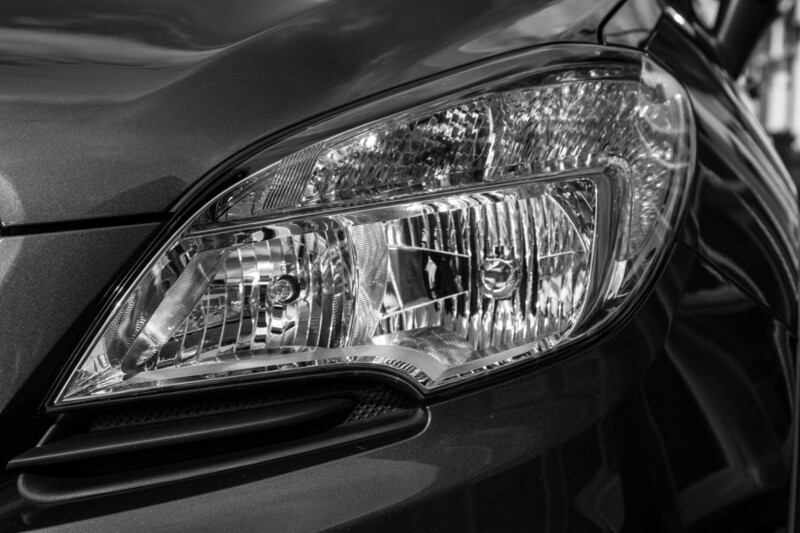 Do you know any reason for some of my car's lights working, but not others? First, make sure the bulb is still good. If necessary, check for continuity. Then, check the wiring at the faulty light. Make sure there is power going to the socket and that it has a good ground. You can even use jumper wires and a test light. Faulty grounds and loose wiring are the most common faults. What could be the cause if the 3rd brake light and the drivers side brake light go out but the passengers side light still works? Check the fuse for the third light and the bulbs. This is the most common cause. Otherwise, check the sockets. and wires connecting to the lights. Our brake switch keeps getting blown out. Where do we start looking for the short that's causing this? We have already replaced all the brake lights and the brake fuse. 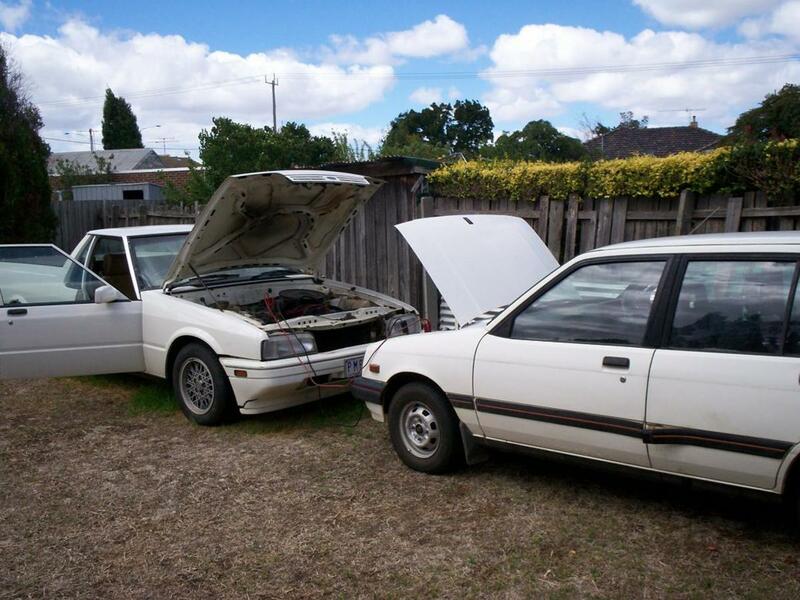 It's a 1990 Toyota Corolla. When I turn off my car, only one of my brake lights go out, the other stays lit. I tested the light by applying the brakes and BOTH of them work, but when I take my foot off the brakes only the one goes off. Everything I have read regarding this issue only address when BOTH brake lights don't work. Can it still be the brake switch with only 1 light? I have a 2003 Ford Windstar. Can you help me, please? You may have a short in that side of the circuit. Check the wiring. You may need the diagram for your specific model. all 3 brake lights are not working on my 2000 Ford Explorer. What do I do? Check the brake light switch, fuses and harness connection. My vehicle has cruise control and therefore 2 switches. Do both switches have to be connected and working, or can I leave the one for the cruise control unplugged? You can leave it unplugged. It’s just there to maintain minimum speed (~25mph +) without the need to have your foot on the accelerator. Also, be aware that you may get a P0564 trouble code. It won't affect engine performance or operation, though, if ignored. My Ford Ranger's brakes are not working. What could be the problem? I have a 2007 Suzuki Forenza, the 3rd brake light wasn't going on. I looked by the brake and just touched the sensor. I guess it is on it a bit. Then it was on again. Then off again. A few hours later and now won’t go on again no matter how much I giggled or move around whats on it. What can I do? I took out the stereo and subs. Why is it that the break lights don't work now? Check the fuses. You can use a test light to make sure the brake switch is getting power and sending power to the lights. I have a 2014 Volkswagen Golf with electrical problems. The fuses and bulbs are good but one head light, one brake light, license plate light, horn and blinker don’t work. What could cause this? Double check the fuses, make sure power is going through. And check power and grounds at the lights. You can use a test light for this. I bought a BMW 1 series private to get home and find my 2 back brake lights are not working, but the one across my back window works someone told me it could be the light control module, but when I brought one from eBay and plugged it in, there were no electric windows, and still no brakes. What do you think? If the flashers aren't working either, check the flashers and the circuit. Otherwise, check the fuses - there could be a separate fuse for the brake lights. If your model is using the same circuit for the turn signals and the brake lights, you need to check the turn signal switch. Check the circuit for a bad wire or connection. I have a 2013 Ford Explorer. The brake light comes on when car is parked and not running, Once the engine is running, the brake lights don't come on at all. Can you help? Check the switch and trace the voltage in the circuit. There could be a loose wire or switch. My driver side brake light does not come on when my headlights are off. I checked the break light bulb and its good. the brake light only works when my lights are turned on. Why is this? Swap the left and right brake light bulbs. it seems there's something wrong internally with the left bulb, the filament probably broke and is welded to the other one. See if this helps. Check for a bad ground or the power feed wire(s) for the circuit. You may need the repair manual for your model to look at the circuit diagram. None of my brake lights are working on my vw polo. Ive changed all bulbs, fuses and brake switch. Still no brake lights. Anyone had this problem before? Or does anyone know what could be the cause of it? Check the brake light switch.